18 inches long, 2 inches wide, inside bowl width is 1 3/4 inches. made of cherry. Cherry and walnut are the options.Spoon has been washed to raise the grain, then re-sanded and waxed with beeswax and mineral oil mix. These spoons are good a stew pot or picture of tea. Spoon has been washed to raise the grain, then re-sanded and waxed with beeswax and mineral oil mix. 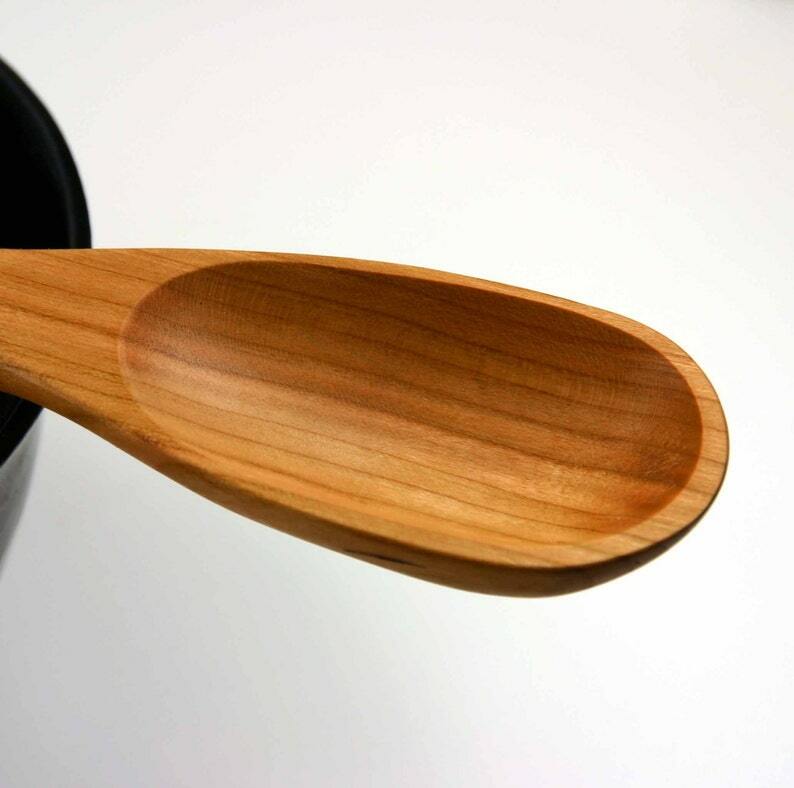 Regardless of what some spoon makers say grain raises all the time after use. The grain will break, then fuzz up.